Today’s ride had a fairly low turnout. Probably because the weather looked pretty threatening. There were six of us at the start, and we figured we’d just go and see what happened. What happened first was that Jon got a flat. His tire just went flat, when we had a look at it, it was completely worn out. I’m not sure how he managed to miss that before going riding, but you can see it in the picture. 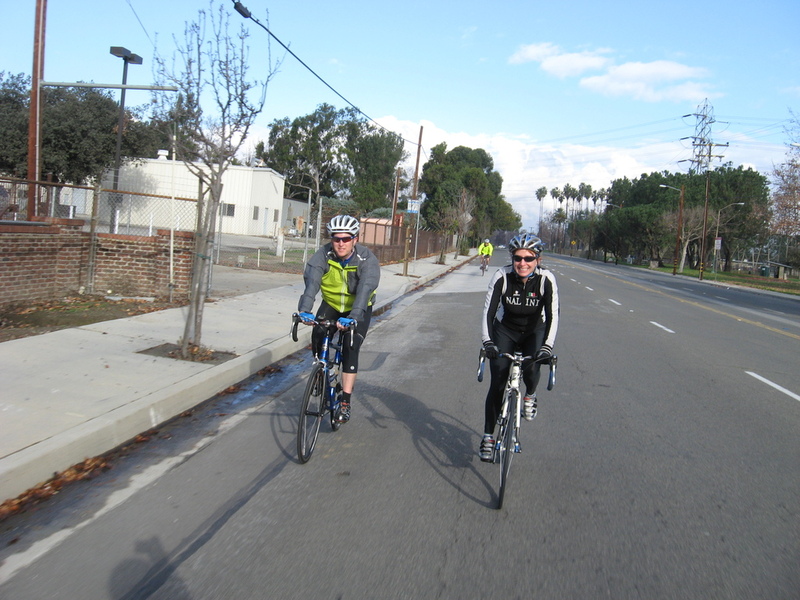 Continuing on, we rode down through El Monte to Whittier Narrows and then into Montebello. That’s where I got the obligatory picture of Susan with her packet of Gu. Then we turned back north, going over a couple of short, steep hills to get back to Alhambra. At that point, it had become a reasonably nice day. Still cloudy, but it didn’t look like rain any more. We stopped for a snack at Noah’s Bagels near Caltech. Then we headed home. 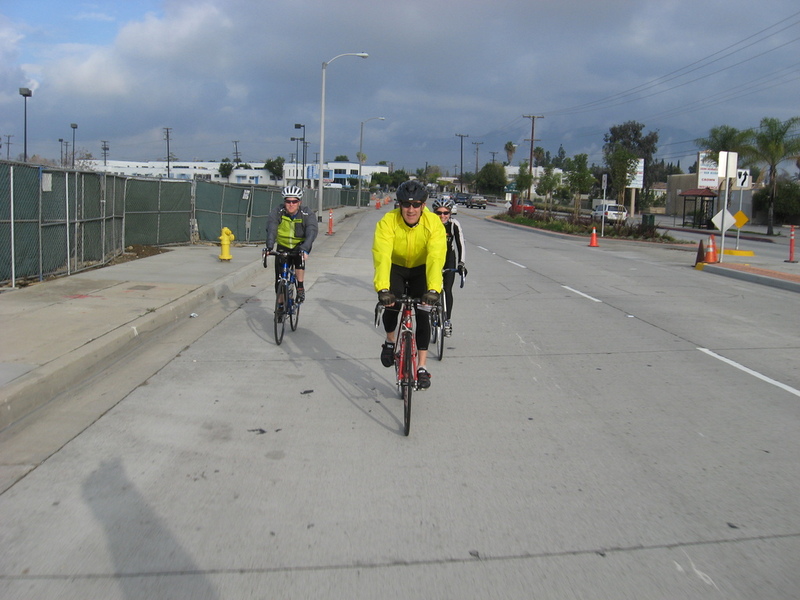 We cut the route short a little bit because a couple of people wanted to get back early. It was a pretty nice ride. Regarding the disappearing tread from my rear tire: I swear I checked it before I left to see if I needed to pump up my tires — which I didn’t take the time to do because I was running late. But the tread was there when I started the ride, and it was still there for the first 11 miles of the ride. But then it just disappeared — along with air that was in the tire. But it’s all OK now. I have new tires — with red stripes — and a new chain, and retaped handlebars, and a higher Visa balance after visiting my favorite bike shop. So now I can go real fast. See you Sunday morning.